Posted on September 14, 2018 at 11:27 am. 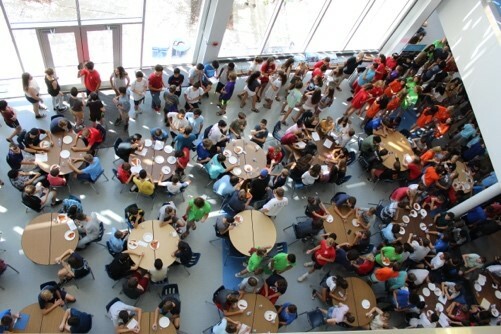 Yorktown welcomed the Freshmen Class of 2022 with an orientation program that involves freshmen getting an upper-class mentor, a tour of the building, meeting their teachers and a class picture. Freshmen were greeted by the YHS Marching Band and YHS Cheerleaders on their first day of school. 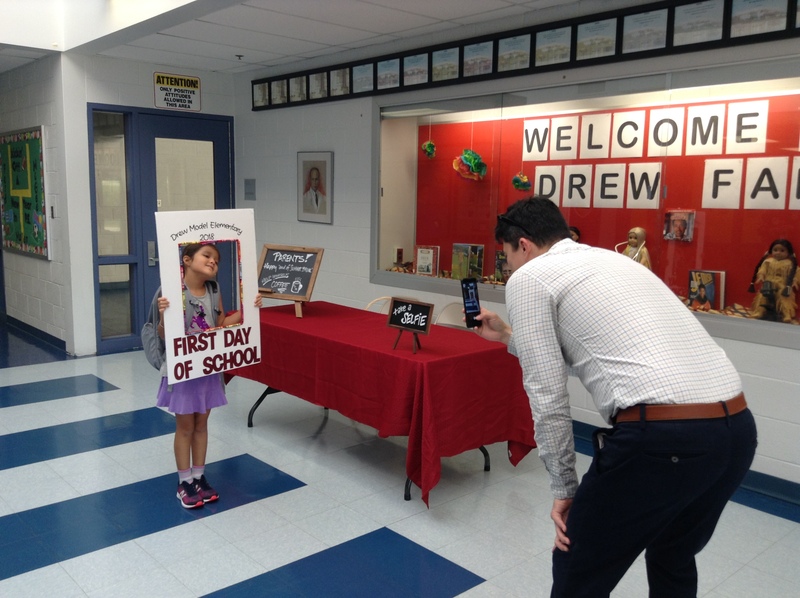 The heat and humidity didn’t stop the smiles and excitement of a new school year. The Drew and Montessori programs will be transitioning soon, but on this day the schools welcomed students, families and community members together. 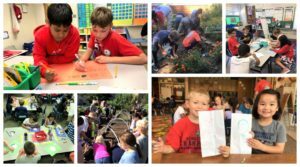 Montessori’s transition continued on Sept. 9 when the Montessori PTA hosted a family get together at the Patrick Henry Elementary School playground. Principal Catharina Genove believed it was important to meet at the Henry playground to help families understand and feel more comfortable with the upcoming transition. 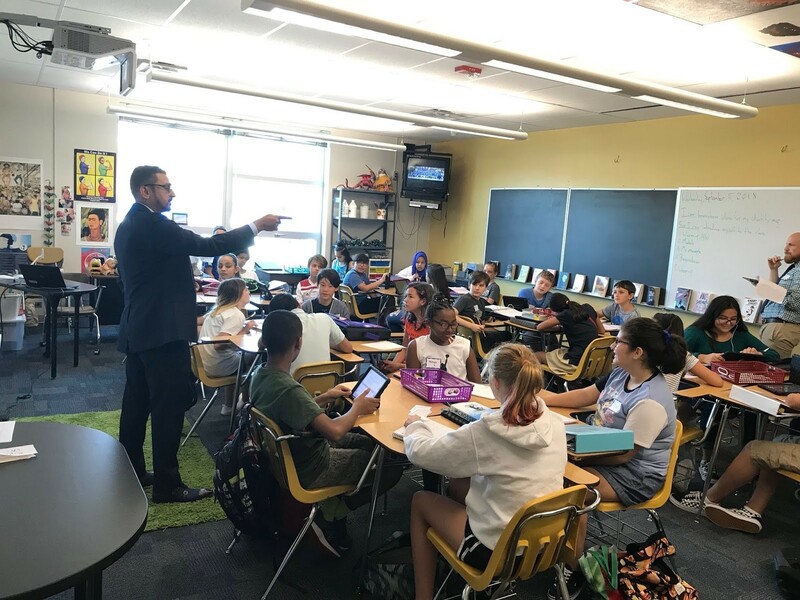 Virginia Secretary of Education Atif Qarni visited Jefferson on Wed, Sept. 5 to announce and celebrate Region 4 Teacher of the Year Tim Cotman. He also visited classrooms, including Peter Anderson‘s seventh grade English class. 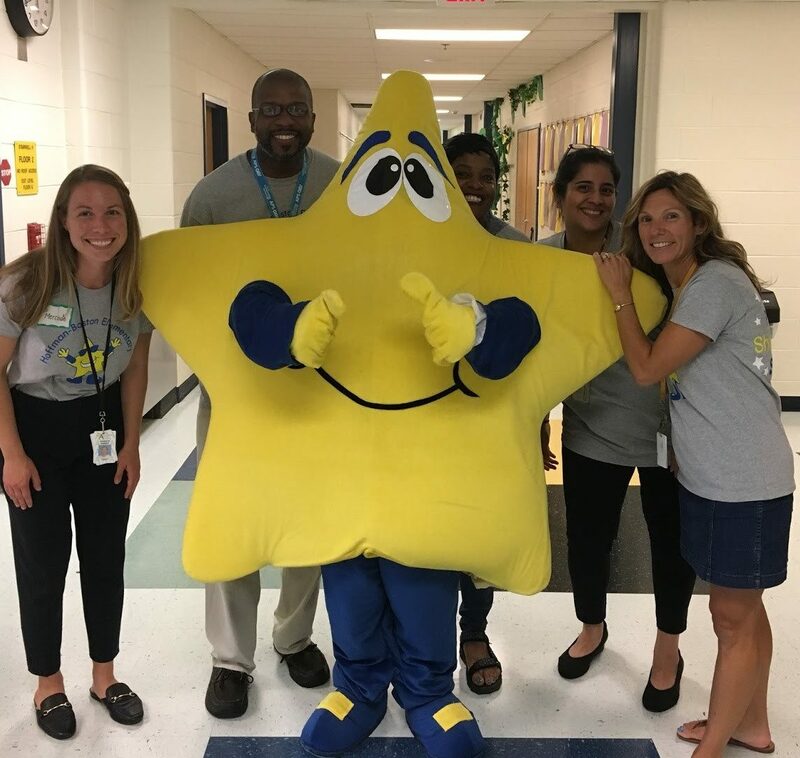 Arlington Career Center staff warmly welcomed students back on Sept. 4 to the many new spaces of the recently renovated school that expanded this year by over 100 full time students. The staff proudly wore their “We are ACC” shirts, and all of the programs including the Academic Academy, Arlington Tech, High Intensity Language Training Institute, Teen Parenting, Program for Employment Preparedness (PEP) and CTE staff loved seeing and sharing all the school’s improvements with their students. Ashlawn celebrated “All Ashlawn Day” a day of service and community on Friday where everyone participated in various service projects. Preschoolers made “Thank you” posters for our cafeteria staff. Kindergarten planted lettuce and decorated lunch bags for those in need. First grade made placemats to bring joy to our neighbors at Sunrise Living. Second grade volunteered to clean up the Ashlawn courtyard. Third grade planted lettuce seeds to support our Lawns-2-Lettuce-4-Lunch program. Fourth grade make “Thank you” cards for our custodians and office staff and fifth grade created posters to encourage all Ashlawn students to show kindness. 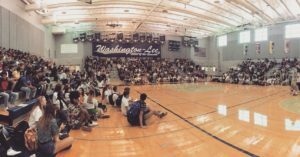 On Sept. 4, the Class of 2022 were welcomed to Washington-Lee with open arms by the staff and Connect Mentors. The Connect Program is a peer mentoring program that partners upperclassmen with freshmen. The Connect Mentors work with 9th graders throughout the year and work to create an inclusive environment for the freshman class. On the first day of school, they wore their Hawaiian shirts and Leis and started off the year by welcoming the freshmen through the WLHS doors with smiles and loud cheers. They continued the morning by leading the freshman class in team-building activities with their Small Learning Communities (SLCs). 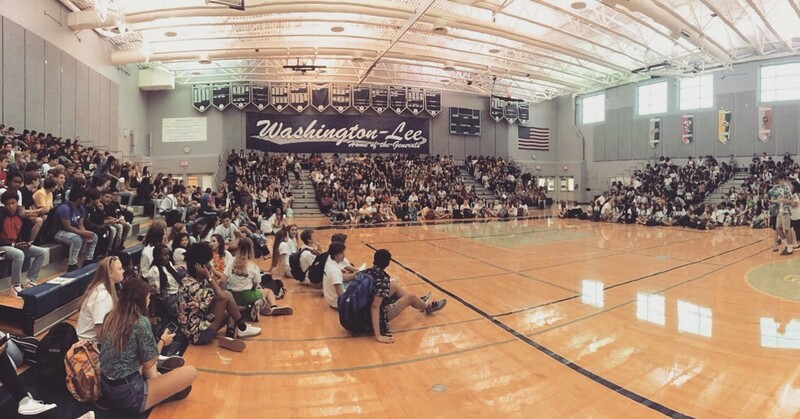 SLCs were created in 2009 so freshmen students could be grouped together in their core classes. Students have the same teachers and see the same group of students but are mixed together with everyone in their electives and PE classes. 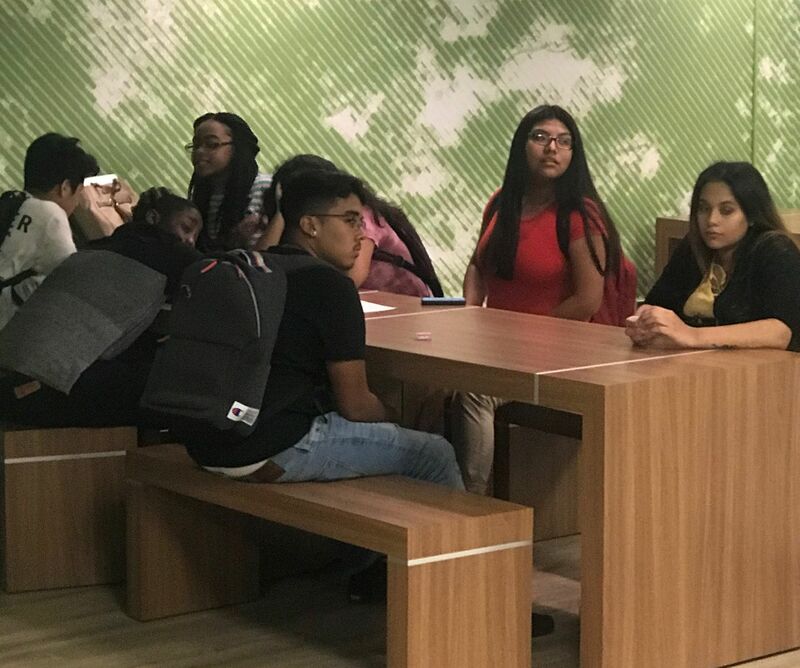 After the freshmen were acquainted with one another through the activities, the Connect Mentors took them on a tour of the school building so they could see where their classes would be. Connect Mentors visit General’s Periods throughout the year to speak to the freshmen about different topics – study skills, how to get involved in the school, stress management, course selection, and how to navigate the school and the different departments in the building. The Connect Mentors are integral part of the freshmen class’ first day of high school and play a key part in their year. 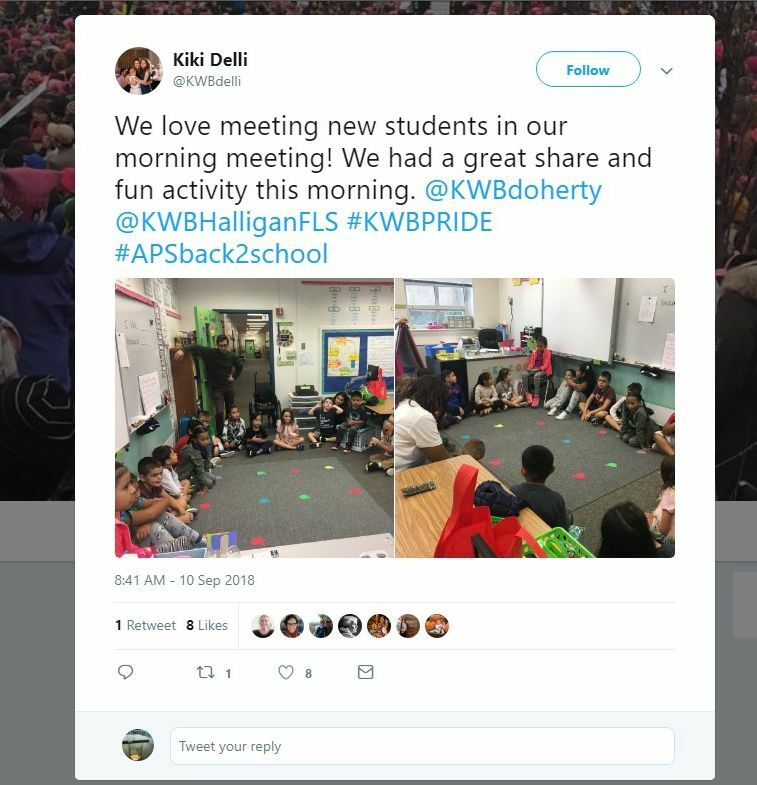 Barrett Elementary School recently held a 10,000th Tweet contest for staff members with Twitter accounts. Barrett uses GroupTweet.com to collaboratively communicate what’s happening through the main school twitter feed. The winning staff member tweet was made by Kiki Delli https://twitter.com/KWBdelli/status/1039131840756572160. Henry specials (Art, FLES, Music, PE) teachers will be on the lookout for positive, supportive interactions showing above-and-beyond good character. 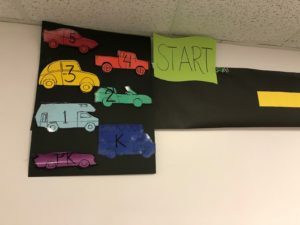 When they see amazing teamwork, they can move forward the grade level car along the road built in the front hallway. Whenever the car reaches the finish line, the grade level will enjoy a “Choose-Your-Own-Special” day during their normal specials time. The Hoffman-Boston community showed up to welcome Heidi Smith as our new Principal. A record number of over 700 parents and students came to the Open House on Thu, Aug. 30. Families were able to meet the new Assistant Principal Catherine Han as well as teachers and staff. Just for fun, families were able to participate in STEM activities as they traveled around the building. As a special treat, families were provided with a ticket for tacos and ice cream to enjoy as they left to return home.